Since the moment 3D printing was created it quickly gained notoriety because of rapid prototyping. The tooling method has earned a lot of attention because it has turned the tables on the world of manufacturing. China rapid prototyping literally opened the world of tooling to everyone. Since then the single action of printing a 3D object stopped being a sci-fi myth and was integrated into our lives for good, even at home. A lot of people has gone beyond the scope of industrial manufacturers since 3D printing is something that can be done in any household. The manufacturing method is currently used by any industry worth a dam and continues to drill his way into new ones. There is just too much going on when it comes to the adoption of this tech. For big manufacturers, it all comes down to the low costs of producing their products. Every single China rapid prototyping company is as good as the number of material they are able to work with. 3D printing a prototype is handled by a printer adding one layer of the product at a time from the bottom up. 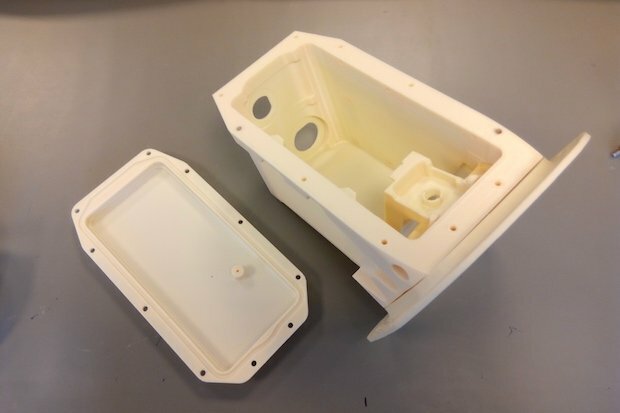 Plastic resins are usually the preferred method to bring a prototype to life and that works just fine for almost a good 90% of all the manufacturing projects out there. The issues that could prove to be troublesome are specialized tasks requiring unique materials. If your finished product is cast on metal, a working prototype on plastic is no good for you. You won’t be able to test the product with certainty, and you run the risk of doing a faulty project for not working with the right materials. We certainly did mention how easy it is for anyone to get a 3D printer and cast out a few prototypes on their own at home… if they have the money for it. If you are the type of person, who is buying this kind of technology for business purposes the 3D printer will eventually pay for itself the more you handle projects. The huge blow comes at the beginning of your tenure since the initial cost of a printer can certainly scare anyone. Personal 3D printers to be used at home can cost a few thousand dollars, but high-end 3D printers meant for industrial work can cost a couple of millions of dollars. China Rapid prototyping has one main goal: to create a working product that is meant for testing. It’s true that the use of the technology is applied in diverse fields for many different purposes, but in the manufacturing world, this science is used to create parts that measure to the needs of a client in order to be sold. Engineering is heavily involved in the process. If you are dealing with a company and you don’t get to chat with at least one engineer, that’s a big red flag right there. Experienced technicians can miss the mark on any build without proper supervision. A prototype printed with even an inch of error could prove fatal. A project developer needs to ask a lot of questions before committing to a deal with any china rapid prototyping manufacturer. One of the main inquiries must be about the equipment they have at hand to perform the tasks that are needed for the project. If your intention is to create a small product, the company should have a 3D printer that is able to accommodate the specs of your requirement. Using an industrial printer for a little product creates an unnecessary expense on your end, and the final result will lack accuracy since a big printer is meant to handle large builds. China rapid prototyping is a great way to save money when we need to create a prototype. It’s also time-saving, and it helps developers reach quicker the stage of production. The only limitations that are perceived in the current tech are the possibility to make things more precise as well as faster. No one complains when it comes to comparisons to what we had in the manufacturing field just 20 years ago when a prototype used to be created in a matter of months before going into production. The competitive market certainly seems to demand more out of this tech. The pacing of these occurrences will eventually be determined by the people working on this type of technology.